The German Pinscher was developed originally with the single purpose of eradicating vermin in Germany at some point between the late 1700s and late 1800s. 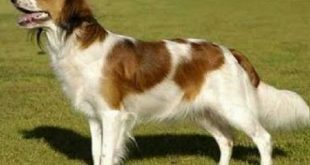 During both World Wars, the breed faced extinction. After World War II ended, a West German going by the name of Werner Jung started breeding German Pinschers and thus managed to save the breed. German Pinschers were first introduced to the United States back in the late 1970s. 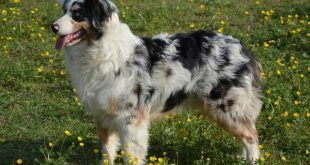 The breed is generally strong-willed, devoted, and needs a consistent and firm owner. The German Pinscher can easily take over your home if you don’t set rules when he’s still a young puppy. With training and consistency, German Pinschers will learn quickly. They are suspicious of strangers, which makes them excellent guard dogs. Their temperament depends on a number of various factors, such as heredity, training, and socialization. Dogs that have nice temperaments are usually curious and playful and have no problem for people to hold them. It is always nice to meet at least one of the puppy’s parents in order to get a feeling of what it may turn out to be like when it grows up. They usually get along with children, as well as other pets if they are brought up with them. 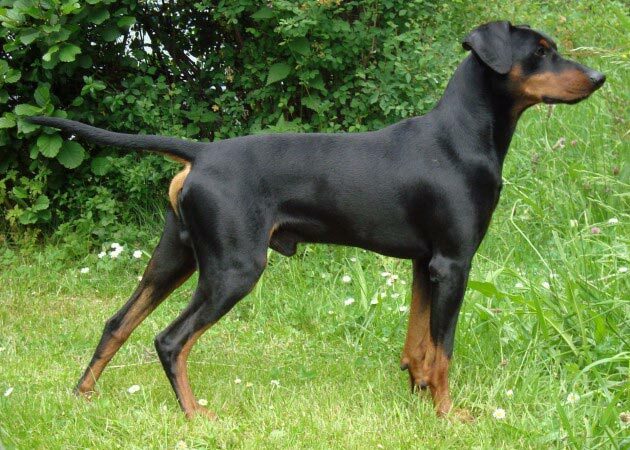 The German Pinscher’s coat is shiny and smooth in texture, quite short and dense and should not have any bald spots. 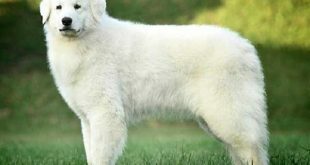 The breed is known for not shedding much so minimal grooming effort is required to keep the coat looking neat and clean. 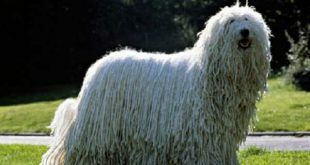 You should brush his coat with a cloth or rubber mitt around once a week in order to get rid of any excess hair.